Obliteracers occupies a strange space. 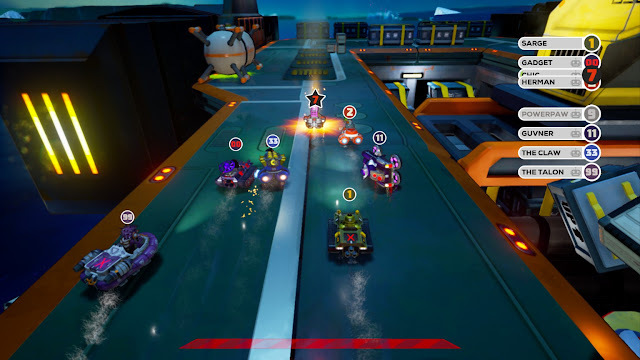 It’s somewhere between a car combat game and a kart racer, with the former’s focus on obliterating opponents, but along circuitous kart tracks rather than open arenas. It’s an interesting concept that adds a fresh spin on both genres, but sadly, poor multiplayer options for the PS4 version hold back what is, at its heart, a multiplayer game. Each race starts with bunch of karts on a starting grid, and a well-timed stomp on the accelerator gives you a boost and an early lead. 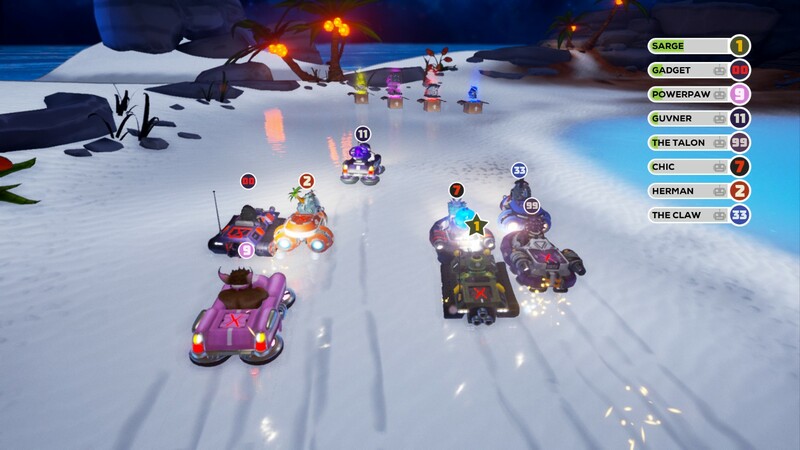 However, the goal of Obliteracers is never to win the race but to destroy all the competition, and with almost all weapons only being useful for shooting forward, being in the lead is often a recipe for disaster. However, even if crossing the finish line first isn’t the end goal, speed is often a key to victory in Obliteracers. If you get too far behind the pack, and you’ll disappear off the screen and die; conversely, if you can get far enough in front, you can pick off the competition one by one. This all comes from Obliteracers’ most interesting ideas: it’s a single-screen game with all players onscreen at once. The camera pans around to accommodate everyone, but there’s only so far it’ll go, so bad driving will see you left behind. The single-screen setup also makes for some particularly hectic gameplay, which should make for a great party game – I’ve heard it described as “Smash Bros. with karts” – but this is where the PS4 version starts to show its cracks. 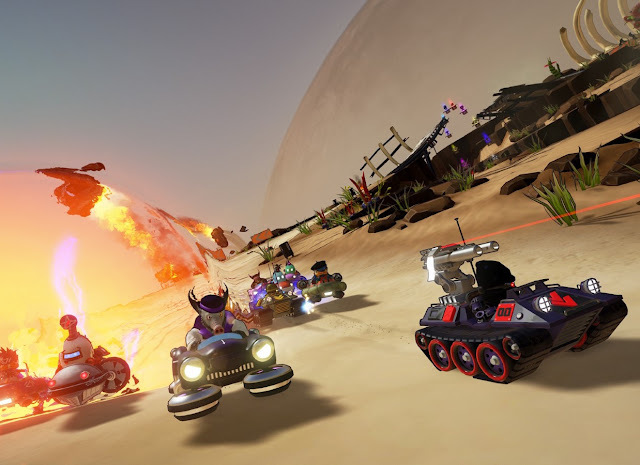 One of the selling points of Obliteracers on PC is its support for up to 16 players at once, on a single screen, with everything from gamepads to smartphones serving as controllers and allowing people to get in on the action. On PlayStation 4, hardware limitations mean that same-screen multiplayer is limited to just four people with controllers. This can still be a lot of fun, of course, but it doesn’t have the same sense of madness as having 16 people crowded around one screen trying to blow each other up and run each other off the track. Online multiplayer does support 16 players, but it just doesn’t have the same draw, especially if you’re playing with strangers. The chaos of having so many karts vying for dominance over a relatively small piece of track is fun with a group of friends, but quickly becomes frustrating with anyone else. 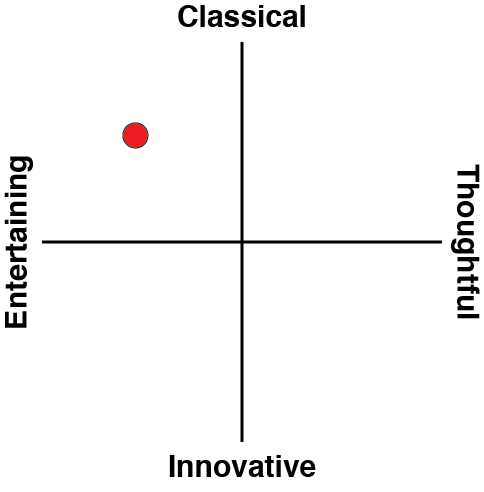 Likewise with the uneven hit detection, twitchy racing physics, and the random deaths that amount from both of those – bizarre fun with friends, tedious and annoying with anyone else. Of course, this is all assuming you can actually find an online game to play; in my experience, the lobbies are almost always completely empty. The biggest frustration, for both local and online multiplayer, is how long each game goes for. Regardless of which of the four variations of Deathmatch you’re playing, each round takes upwards of 10 minutes to wrap up – and this is with round length set to “Quick”. There’s no option to customise the number of points needed for victory, so you’re stuck with whatever number has been deemed a “quick” round. I didn’t even have the heart to try medium or long rounds, given how stretched out this supposedly quick ones were. Outside of multiplayer, Obliteracers really doesn’t have much going for it. There’s a “Career Mode”, but it’s basically just a series of versus-AI matches strung together haphazardly. Between the excessive length of each match, the lack of any real sense of progress, and the fact that you don’t even get to choose your racer, Career Mode gets very stale, very quickly. Obliteracers introduces some interesting ideas, but between dead lobbies and limited local options, its multiplayer core falls a bit flat on PS4. 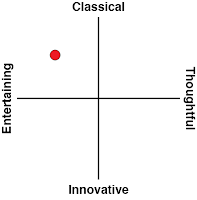 With nothing else to pick up this slack, it ends up being a game that quickly loses steam.